Canadian Luthier Greg Wight is a machinist by trade and has worked in the steel industry for 12+ years. This experience has contributed to his attention to detail, accuracy and hand skills in his new found passion of guitar building. Now the proud owner of "Harbour Guitars- School of Acoustic Guitar Building" in Port Stanley, Ontario he would like to share this amazing art form with the world. 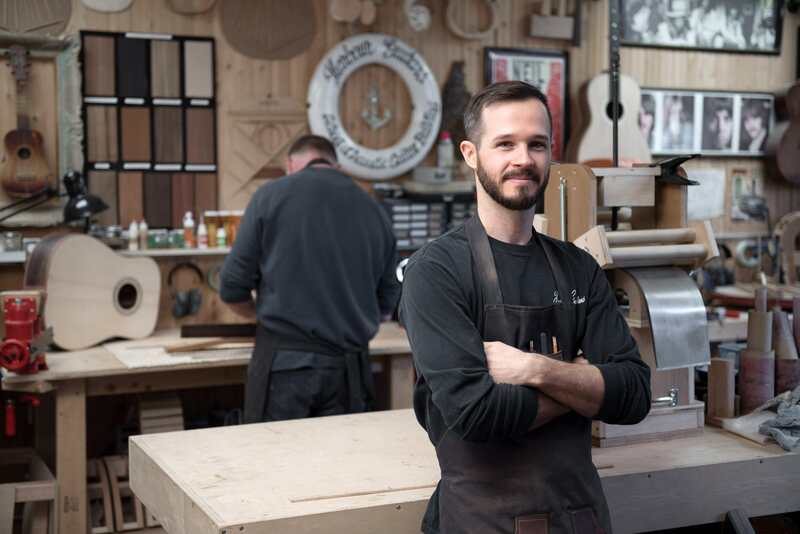 Trained in Melbourne, Australia under Master Luthier Chris Wynne, Greg has built many guitars of different styles under Chris's guidance and mentorship. Greg has also assisted Chris in teaching courses in both Italy and Melbourne. One of Greg's guitars was displayed in the exhibition "Beyond the Trees" held at Montslavat located in Eltham, Victoria, Australia. Take some time to come and speak with Greg about the art of luthrie, whether you are just curious, or looking to get into a build yourself, and watch the magic unfold.